European airframer Airbus S.A.S. 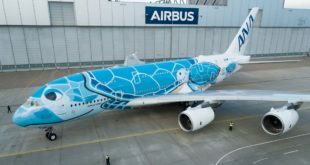 rolled out its third its third A350 XWB flight-test aircraft, MSN2 (manufacturer serial number 2), from the paint shop in Toulouse, France, featuring a special “carbon” livery which symbolises the extensive use of of carbon-fibre reinforced polymer (CFRP) in the aircraft. 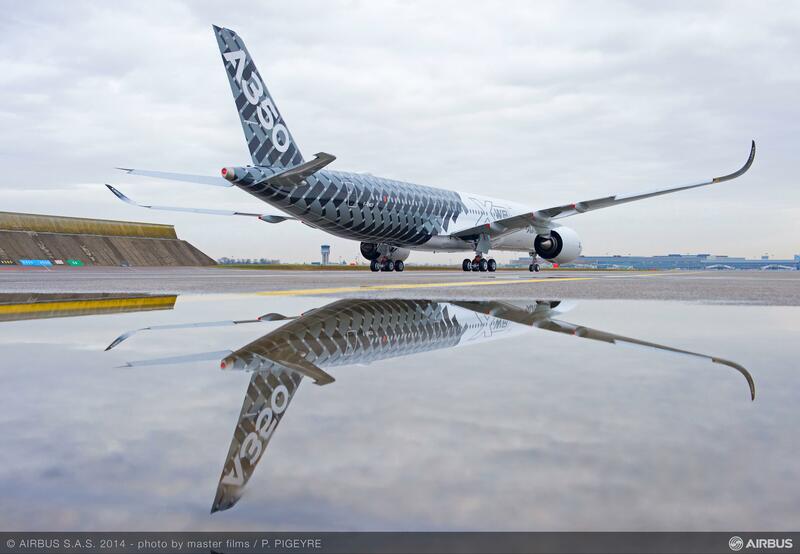 53 per cent of the A350 XWB’s airframe is made-up of composites including the airframer’s first carbon-fibre fuselage. The MSN2 aircraft is the first of two A350 flight test aircraft equipped with a full passenger cabin interior which will be used to transport passengers when it undertakes the Early Long Flights (ELF) later in the year. MSN2 will join the A350 XWB flight test fleet in the coming weeks. 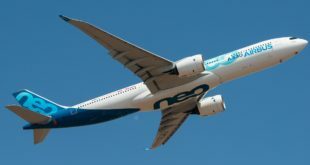 Airbus is targeting an entry in to service by the last quarter of this year. Share your thoughts on the new livery via a comment.